Over the last ten years this project has started and stopped numerous times. For a long time Mel Gibson was attached to star in the project, and then he was also going to direct it. But as Craig will explain below, once Mel decided to just direct and not star in it, the project lost its way. But now, after years and years, Frank Darabont is going to be the one to bring the classic Ray Bradbury story to life once again. As a huge fan of Frank’s and the original story, I cannot wait to find out who will be starring in the film. What that means for a start date…. I have no idea. The good news is that Frank is making this his next project and Craig told me the budget is going to be around 70 or so million. That’s a solid number and something that if shot abroad – like Craig says they’ll do – can be made to look a lot more than it actually is. Anyway, here’s what Craig and Neil said. If you’d like to hear the audio you can click here for the MP3. Just know it’s the entire press conference and not the selected quotes that I posted below. 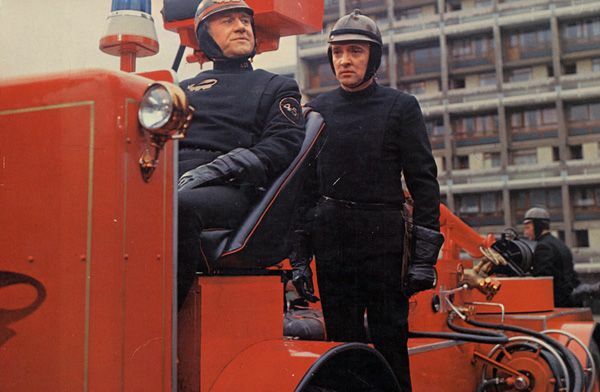 Question: I hear you guys are going to be doing Fahrenheit 451 and I’m wondering what the inspiration to move into that genre was? Craig Zadan: We actually got involved with Fahrenheit 10 years ago…or more than that. We bought the rights to it and set it up at Warner Bros. with Mel Gibson originally starring in it, then he did Braveheart and he came back to us and said, ‘I think I should also direct it.’ We said fine, he had just won the Academy Award. Then he came back and said how about if I direct it and not star in it. Then it started to fall apart. It took many, many years before Frank Darabont called us and said, ‘it’s been my passion project. I have to do this.’ So Frank is writing it and directing it and it’s his next film and Frank is in the middle of meeting with stars and casting it right now. Q: Is it a script that’s done and can be going? Neil Meron: It’s still a work in progress. I think to answer your question, why we got involved with it, is because the themes like Raisin, like The Bucket List, like Hairspray, they’re somewhat timeless and relevant and it’s a great story. 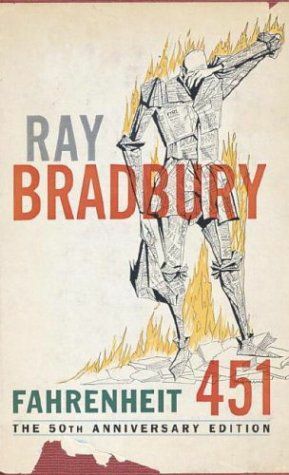 Ray Bradbury’s work needs to be seen again. It needs to be brought out and it’s one of these classic stories that never dies that always use the dust blown off of it. Q: Do you have a start date for Fahrenheit? Craig Zadan: No. We have to cast it. It’s based on actors schedules. Craig Zadan: You know he was on the list of people that we were thinking about but there has never really been active pursuit of him. Frank Darabont has a couple of people…Tom and you know the list. He’s meeting with a lot of different people. Q: So my question for you is…the script is ready to go though. Craig Zadan: We could start tomorrow. Q: So is there any sort of goal to try and get it done by June before the “actors strike”? Craig Zadan: No, cause it’s depending on which actor says yes that we want and then when they’re available. So we have to work around the schedule of the actors. Q: But the studio… this is definitely a priority project. Q: So glad you’re doing it. Craig Zadan: It’s going to be great. 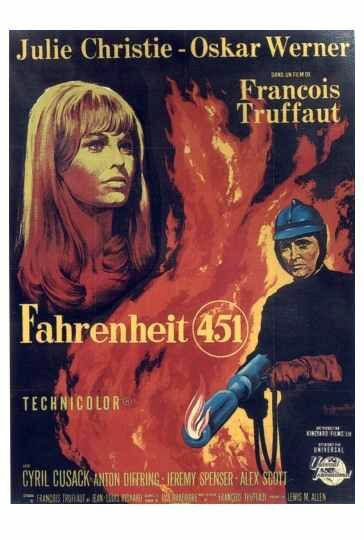 I think the Truffaut film was disappointing and Ray Bradbury felt it wasn’t his… he felt it didn’t represent the book. Q: So how close to the original is it going to be? Craig Zadan: It’s closer to the original but it’s still Frank Darabont’s vision. It’s a whole other vision of it. 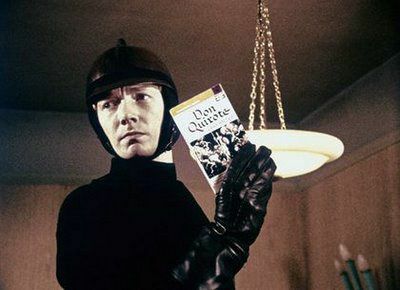 It feels closer to the book than… much closer than Truffaut. Q: So it won’t be a modern…it’s definitely sticking with the books. Craig Zadan: Yeah, sticking with the books. Yeah, exactly. I mean it will make reference to other things but it will stick with the books. Q: Do you guys have a budget in mind? Is this a mid-size budget? Is it a big, big budget? Craig Zadan: Craig: It’s going to be more in the range of say 70 or something like that. It won’t be over a 100… it’ll be more like 65 or 70ish, in that area. It won’t be enormously expensive but we’ll have to shoot it in a place like Prague or something like that to try and get a good deal on….